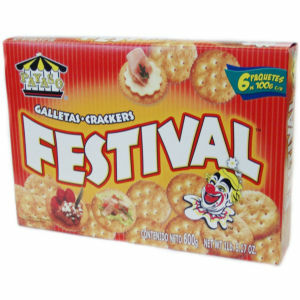 Payaso Festival Crackers are a perfect party starter! Open the box and you will find six individually sealed packets containing the most delicious crackers you've ever tasted! Serve them with ham, shrimp, cheese, tuna, chicken, or anything your imagination desires. What a wonderful appetizer! Or if you simply can't resist, feel free to eat them right out of the package!